Christian School for the Young Years was started in 1973 by Janet Goodin, her mother Katherine Goldrick, and her sister, Kathy Moore. We first opened our program in the convent building of St. Vincent De Paul Parish. As the school grew we were housed in several other sites until we moved into our present location on Clark Street. In 2001 we opened our sister school, Community Day School. 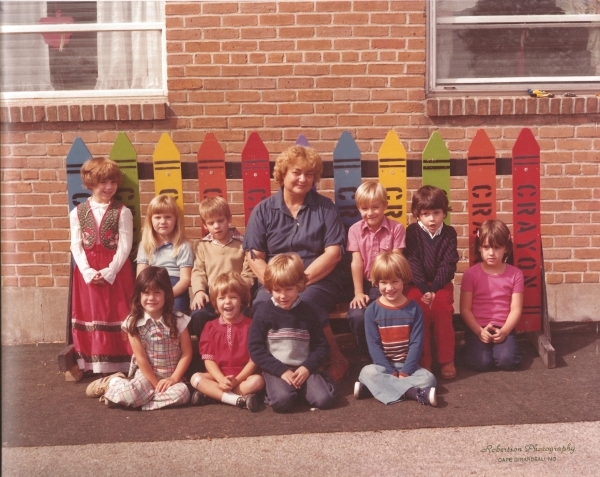 We still have the first teacher who was ever hired, Mrs. Sue Kopf, and many of the teachers who followed after her, including Sherri Roth and Gail Jones. The dedication of these amazing women has allowed us to serve the children in our community for over 40 years. We are proud that we are now welcoming the children of our former students. Our work is based on Christian principles of love, respect, and care for others. Although Katherine Goldrick is no longer with us, she inspires our work with children daily. With a twinkle in her eye, always a witty comment, and a joy for living we still celebrate today.